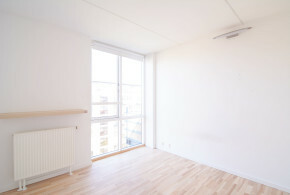 Bright 20 m2 room by the central Copenhagen waterfront! 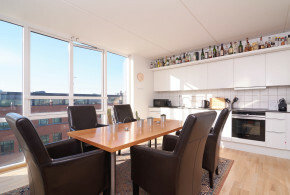 Spacious, comfortable and unique 20m2 room by the Copenhagen waterfront in Islands Brygge and with Faelleden Park as your backyard. Outstanding sun exposure during the whole day, beautiful view for the park and wide clear windows. 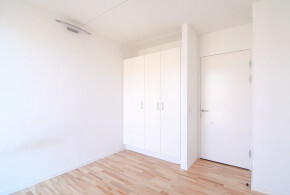 Built in three doors closet, with plenty of room for storage inside and on top. 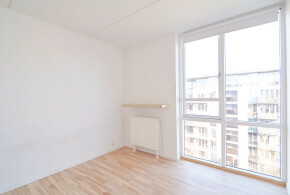 The apartment is completely new, has one balcony with sun all day and lets in a lot of sunlight because of the floor to ceiling windows. 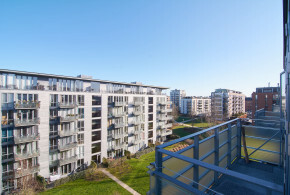 It is situated very centrally in Copenhagen. 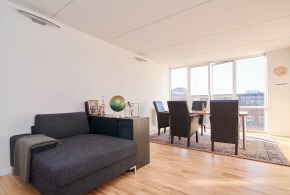 You’ll also have an amazing view of the Copenhagen waterfront every day. 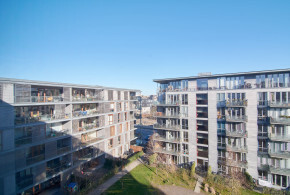 It's 12 months new apartment where you'll be able to enjoy the afternoon sun and sunset from the large wide windows facing the water and have a glass of wine and have your morning coffee when the sun rises on the balcony facing the park. You can also go for a short walk to Havnebadet, where you can go for a swim. 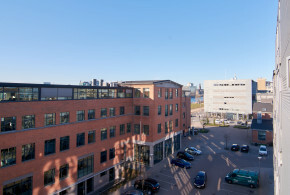 The apartment is 10 minutes walk to the Metro, 15 minutes walk to Dybboelsbro Station and 5 minutes to Fisketorvet (a large shopping center). 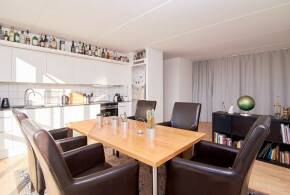 You also have great options for grocery shopping right by the apartment, as well as restaurants, coffees and bakeries. You'll be able to move 1 of May!